Currently, communicate using SMS has started left, many people prefer to use existing chat features in social media, one of the live chat feature on facebook. There are several reasons why people prefer chatting on social media compared to SMS. One of the reasons they say is if chat via SMS will feel quickly bored. Whereas if the chat on social media like facebook, many things can be done like a chat with several people at once. That's what led to the crowd chose to chat using facebook until facebook became one of the social media that has many users. They can chat with family, friends, work colleagues quickly and easily. Make features "Live Chat on facebook" became the place of chat favorite for social media users. To use this feature very easily, but for facebook users that still the beginner, sure, they need the guide to be able to use this feature. So, I created this article to guide you how to live chat on facebook with ease. Following are the steps that you must follow. I will give you two tutorials that is a live chat with a friend on facebook and live chat with more than one friend at a time on facebook. Let's get started! Please go to the facebook site and log in to your facebook account. Once you are on the home page of your facebook account, look in the lower right corner of your facebook home page. 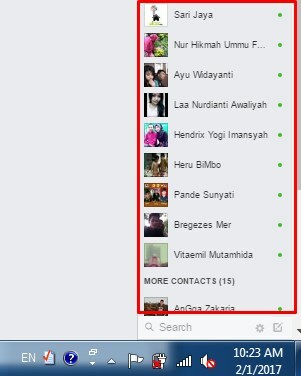 You will see a list of your facebook friends who are active or recently active. If your friend is on, there is usually a small round green sign to the right of your friend's account name. 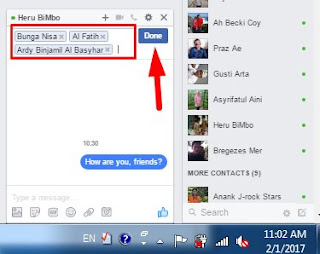 Select and click the name of the facebook account of the friends that you want to invite to chat. Then place your chats will appear like the image below. 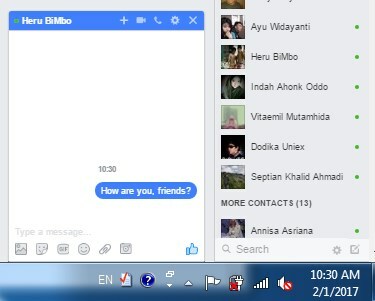 Please create a column message to start chatting with your friends on facebook. Then, press the key "Enter" on the keyboard of your computer. 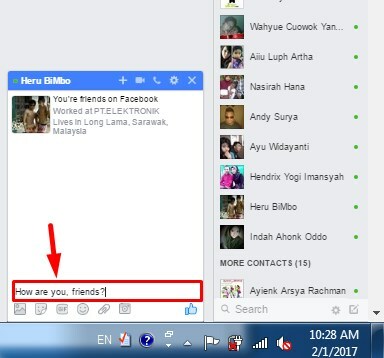 So your message will be sent to your friends, below is an example of a live chat on facebook. As, please log in to your facebook account, then do as the first way above, i.e. you have to invite a friend to chat. 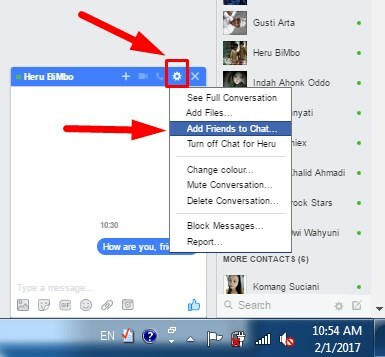 After that click on "Settings" or a sign of gear on the area of chatting. 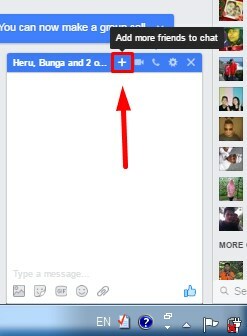 Next click "Add Friends to Chat ..."
Then enter the names of your friends on facebook that you want to invite to chat. 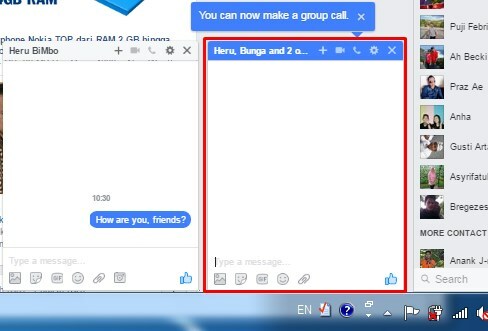 Next click "Done"
Now the Chat column will appear again, in that column you can chat to more of one facebook users or person. If you want to add other users to join the chat, please click the icon "+" or "Add more friends to chat" try to look at the image below. So two tutorials on how to do a live chat on facebook that I can pass it along to you. Hopefully, this article can help you.